We are professional SEO company in Ahmedabad offering all authentic and Google approved SEO services to businesses and personal websites. We are professional SEO company in Ahmedabad offering all authentic and Google approved SEO services to businesses and personal websites. We are professional SEO company in Ahmedabad offering all authentic and Google approved SEO services to businesses and personal websites. We are specialist SEO company in Ahmedabad with core proficiency of getting website ranked for targeted and high performing keywords and drive more traffic to your website. The team of Brand Core Media is made up with SEO consultant, strategist, website analyst, web content writers and search marketing experts that works with honesty, simplicity and accountability. We are committed to increase online sales, generate profitability and improve online presence through Google SEO result in top ten SEO companies. Our approach for performing search marketing for our customers encompasses every step requires on improving website authenticity and building positive impression to search engines through link building and social signals. Our Ahmedabad SEO service includes website optimization through research and strategy building through various internet tools, website validation and competitive analysis, keyword research and measuring keyword KEI, content optimization, building website reputation through link building and content syndication and reporting for ranking improvements. We keep strong watch on search engine algorithm change and pace our overall strategy based on it. Optimizing YouTube videos for better search results and improved visibility is a big thing for brands and organizations today. As a brand consultant based in Ahmedabad we are getting many inquiries for promotion of their corporate videos and films to spread awareness. We do video SEO for YouTube channel and other video submission sites like Metacafe and more. We also integrate video submission and promotion with your social media activities. Optimizing YouTube videos for better search results and improved visibility is a big thing for brands and organizations today. As a brand consultant based in Ahmedabad we are getting many inquiries for promotion of their corporate videos and films to spread awareness. We do video SEO for YouTube channel and other video submission sites like Metacafe and more. We also integrate video submission and promotion with your social media activities to gain better buzz for your content. 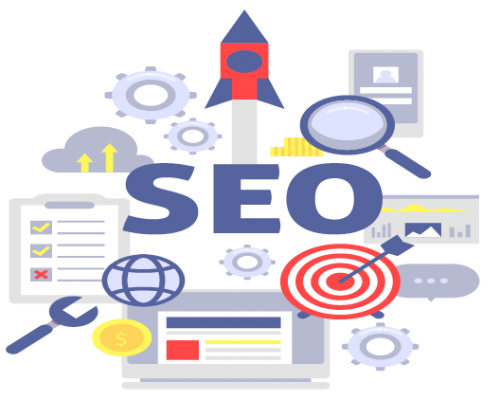 Many organizations in Ahmedabad are specially looking for SEO services that can promote their business for local customers and gain traffic from the city and around locations. We provide this location based SEO services famously known as Google Local SEO with optimization of website keywords to gain traffic from particular place. WE SEO ANALYSIS MAKE YOURS. KEYWORD RESEARCH THAT BRING BUSINESS. WE CREATE ON PAGE OPTIMIZATION. WE CREATE SEO CONTENT WRITING. As you are searching for the best SEO company in Ahmedabad, make sure to consider only authentic SEO professionals for getting ranking services genuinely and with sustainability. Our SEO services in Ahmedabad is backed with standard procedures & techniques well accepted. AUTHENTIC & 100% GENUINE BUSINESS. Our SEO training is a special course designed for website owners, marketing professionals and students to understand what search engine optimization is and gain control over their own website. We teach total optimization procedure with techniques on how to make certain changes on website for on page activities and how other off page activities to be done for link building and gaining social media engagements. Your Search for SEO Company in Ahmedabad specialised for landing page optimization ends here. We are amongst the specialist SEO Company that provides landing page ranking service especially for E-Commerce websites and online web portals with large database and hundreds of product listings. Our service includes conversion rate optimization, getting ranking for long tail keywords and improving the consumer engagement. We write specific content for such pages, make headlines sounding and appealing and improve the click to action point on your websites. Brand Core Media’s Online Reputation Management service in Ahmedabad helps organizations and individuals to maintain good online presence through various techniques. We promote your personal blogs, official website, social media profiles including Facebook, Twitter, LinkedIn and YouTube on Google and bring them to top for your search phrase. This also means improving online presence by pushing the negative sites and link to down from top ten ranking charts.